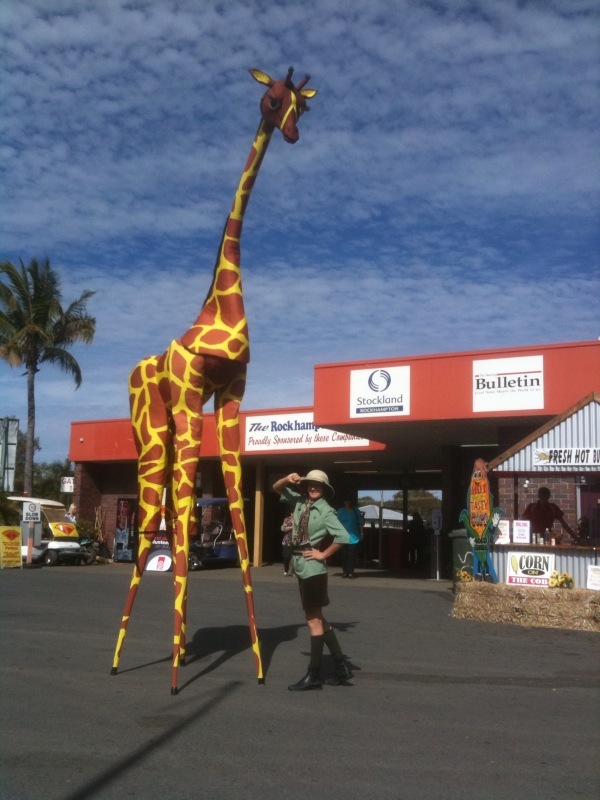 Give your festival a taste of the exotic with Gemma Giraffe drawing the attention of all near and far. At 5.5 metres tall you’ll have to stand far back to fit her in frame for a photo, but come right up close for a chuckle with her ranger. People are always captivated by this act. 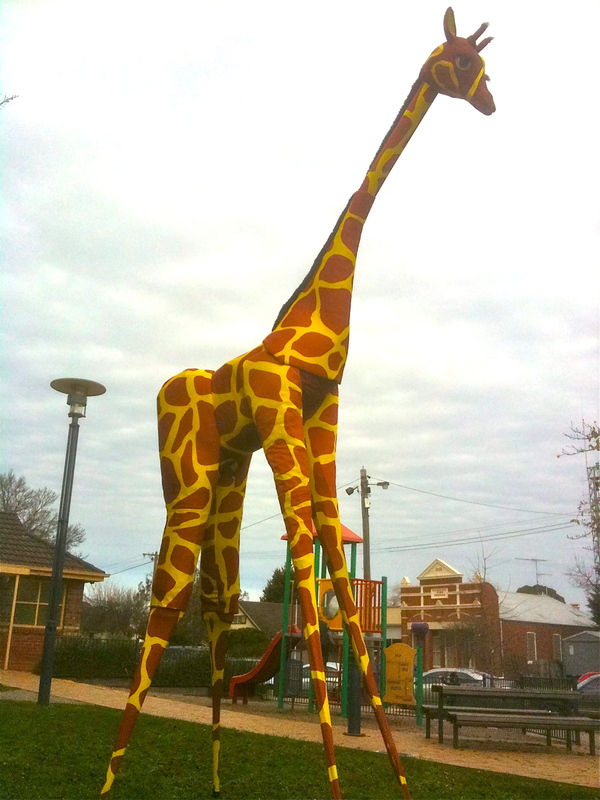 Contact us to find out more about having Gemma Giraffe stand out at your festival. Scroll down for video footage and more images of Gemma. Please click on slide to see full image.